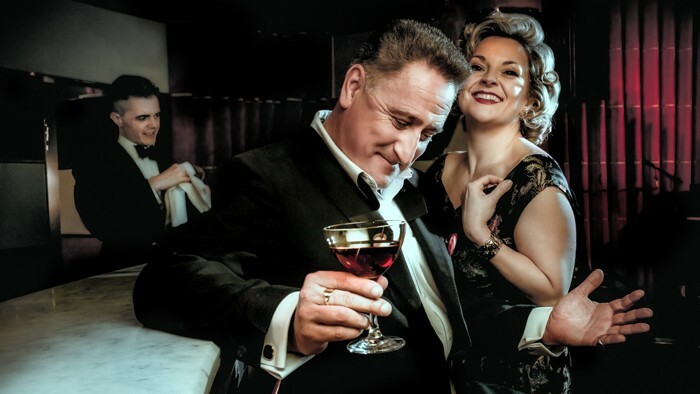 Friends for 30-years, multi award-winning vocalist Claire Martin OBE and legendary saxophonist and vocalist Ray Gelato have combined their love of all things Swing and joined forces for their first show together, A Swinging Affair. The much celebrated and respected musicians share the stage with a world-class trio led by renowned pianist Dave Newton to explore the Great American Songbook - including classics: Let's Call the Whole Thing Off, They Can't Take That Away From Me, They All Laughed and Can't We Be Friends. If you like your music sassy, sharp and swinging - this is the show for you. A swinging affair indeed!